“I can’t count how many lives we at Total Safety Consulting have saved, how many accidents we’ve prevented,” said Connolly. Connolly speaks with enthusiasm and pride about his work at TSC. 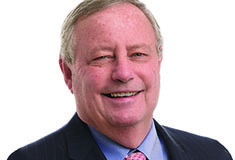 While he would have to acknowledge, although modestly, that he is playing a part in seeing the Bayonne, N.J.-based firm develop and grow its leadership role in site safety consulting and training for major general contractors, construction managers and owners throughout the metro area, he would be just as quick to credit his success to the work ethic instilled in him by his parents. “My father always said, ‘If you’re going to do anything at all, do it like you mean it.’ ” Though his father has passed away, his words spur his son on daily—from his waking hours at 4:30 a.m. on—and have throughout his nearly 34-year career. Bronx-born and bred, Connolly learned key values from his Irish immigrant parents—be on time; be responsible; be reliable; and be honest. He studied engineering at Manhattan and Lehman College, before taking an entry-level job at age 20 with Macklowe Properties. There he did “whatever was needed,” from painting hallways to operating elevators. Just two years later, at 22, Connolly was promoted to assistant project manager tasked to oversee construction punch-lists with a team of five or six reporting to him. The job required serious trouble-shooting capabilities. Was an A/C unit missing a duct? Did an air vent lack a louver? First identify the problem, then find a solution. Within two years he was promoted to assistant superintendent on construction sites in charge of numerous subcontractors and tasked with safety and quality oversight. A quick learner who never watched the clock — “I was willing to put in whatever time it took” — it soon became apparent to Connolly and those around him that he had a keen grasp of safety and an innate aptitude for management. He met every challenge, with an, “I can handle it” approach and a willingness to take full responsibility for all on his team. When the construction market softened in the early ‘90s, Connolly, then married and a father (his son, Michael, is now 29; his daughter, Cassandra, is 22) opted for a career shift. He received his NYC DOB Site Safety Manager’s license in 1994 and OSHA Authorized Outreach Trainer certificate in 1997. He now also holds licenses and training certifications from the FDNY, US Dept. of Labor, MTA, LIRR, and is a member of the American Society of Safety Engineers. 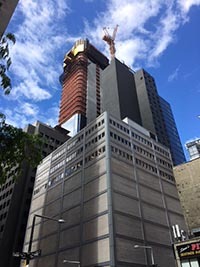 Working at a supervisory level job at a safety company followed by a safety director position with a construction company specializing in hoisting and rigging and scaffolding, Connolly met TSC managing member James Bifulco at a project. He joined TSC in 2006 as a supervisor in the technical services group, a job that involved stringent safety and quality control for 12 to 15 projects and coordinating an extensive slate of health and safety programs including work in scaffolding, cranes, concrete, and OSHA training. He finds his goals for safety embraced and championed at TSC, a company imbued with a “genuine commitment to make things better.” He credits co-owners James and Elizabeth Bifulco with allowing “you to perform your job without question so you can be most effective.” An added plus-—“Everyone is treated like family.” This approach is, in turn, parlayed to clients where every job is customized to meet specific needs. 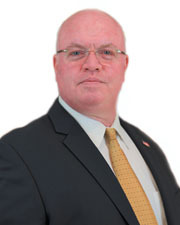 In 2013, Connolly was made director of field operations at TSC. He directly supervises and coordinates supervisors who in turn oversee site safety managers placing approximately 130 plus safety professionals in charge of project site safety management under his jurisdiction at any one time, and safety programs for over 100 projects. 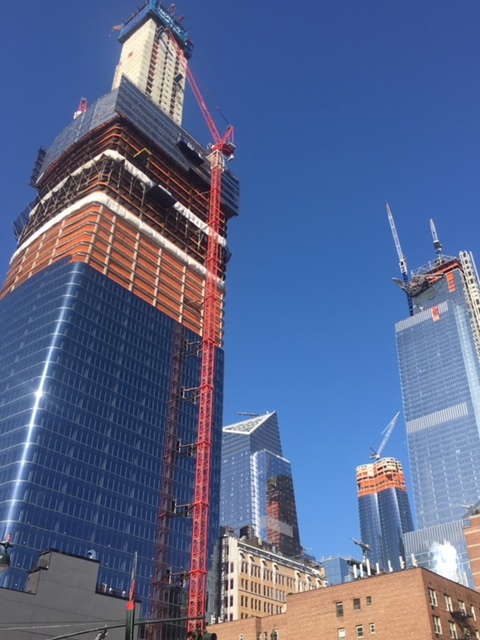 These are sometimes the area’s most iconic projects recently and currently being built that include Bank of America Tower, Yankee Stadium, Hudson Yards, Manhattan West and One World Trade Center. “Communication has to be airtight in this business—there can’t be any misinformation between me and the site safety managers and supervisors,” he said. A mentor to many today, Connolly counts James Bifulco and Stanley Sluszka, formerly of TSC, as his mentors. A case in point is a TSC megaproject Connolly points to with pride, the renovation of Madison Square Garden. Work was on an accelerated schedule as the hockey season needed to start, without fail, in the fall. How to avoid stringency on safety when there’s no room for delay?